In order to highlight the issue, walls have been painted across the East End in Shoreditch, Hackney and Bethnal Green and the message couldn’t be any more clear ‘When we go, we’re taking you all with us’. 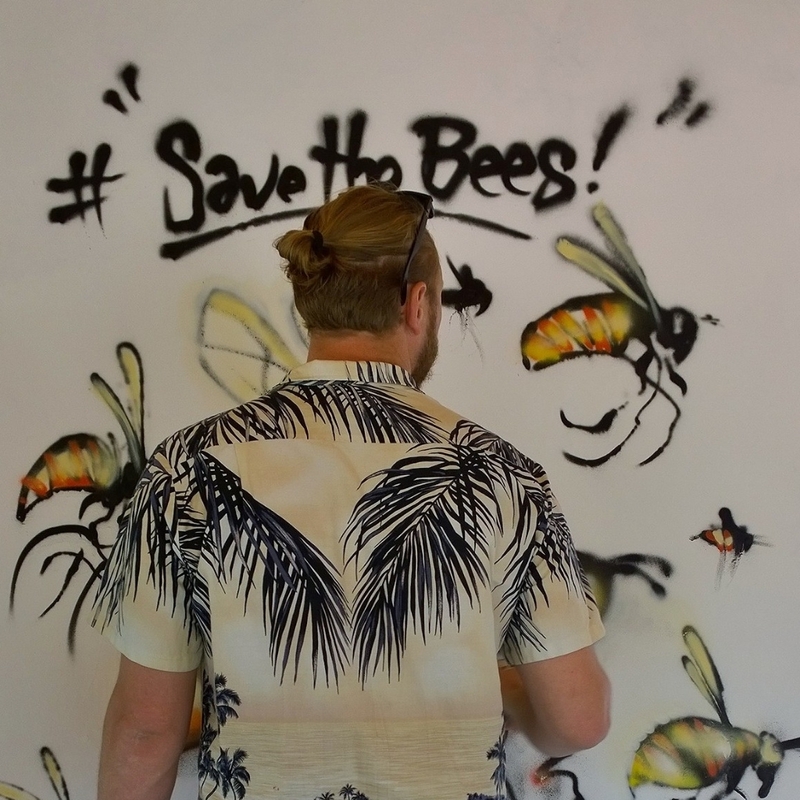 The hashtag #savethebees is the call to action and anyone turning up to see the artists painting could go home with a packet of free seeds which local folk will plant in their own garden, window box or even just a plant pot. One of the biggest risk to bees currently is the availability of the sort of plant needed to help sustain the population. As more development takes place and more pesticides are used, the spaces for bees to thrive have simply disappeared so gardens, and window boxes are becoming a really important source, so all going well there should be plenty of planting going on just about now. Masai and Vision have been painting furiously in order to reach a finale which took place over the weekend at Rockwell House. 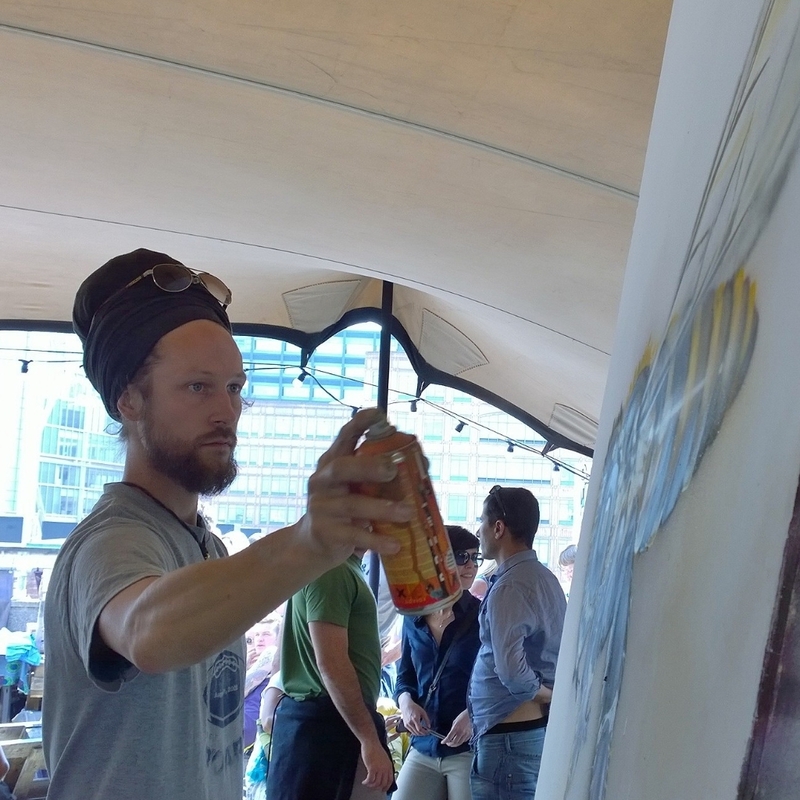 Based on Hewett Street the venue is home to End of the Line and often plays host to many a street art event. This time though the star attraction was a hive of bees as the rooftop venue baked in the sun and proved the perfect setting for a event which made the issue clear but never preaching. Music from the angel voiced Rosie May and the incredible beatbox and street dancing crew Ambidextrus joined a host of other talented acts nestling in amongst the live street art and bee talks taking place. As events go it was perfectly pitched and managed to achieve it’s objective or so it seemed by the amount of packets of wildflowers that were eagerly snapped up.